It's no great surprise my Kindergarten class loves playing games. Why wouldn't they? They're only 5,6 and sometimes 7, years old. They are meant to play. They are built for play! Sometimes we seem to forget that with a crowded curriculum to teach, days that seem too short and special events like Book Week and Grandparents Day that eat away into our teaching time. But like everything, there's always division. Two camps usually pitted against each other. 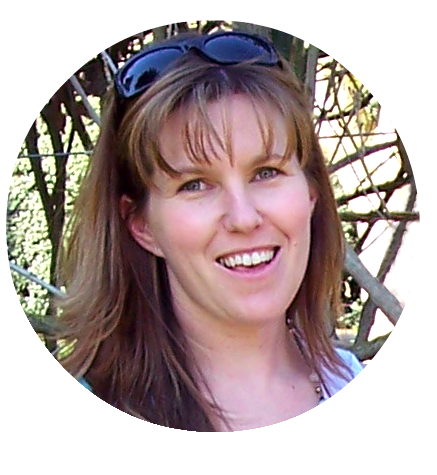 We see with working mums v stay at home mums, public school v private schools, play-based v worksheets. So how do we best teach our children all that they need to know? I am a strong advocate of play in the Early Years. Countless studies tell us of the importance play has in early childhood particularly. 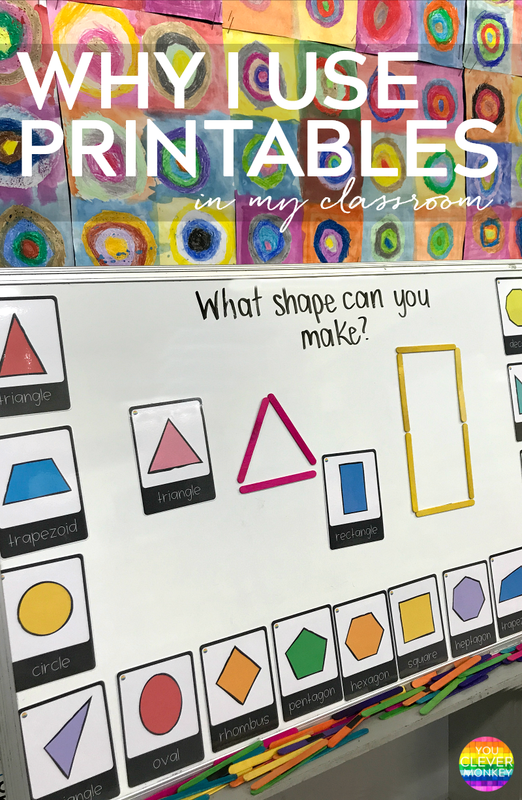 But that doesn't mean printables don't have a place in the Early Years classroom and I do make a distinction between 'printables' and 'worksheets'. Let's use how I teach my class about shapes as an example. At the start of the year we used our line rocks to look at the different types of lines we used for drawing and then handwriting. 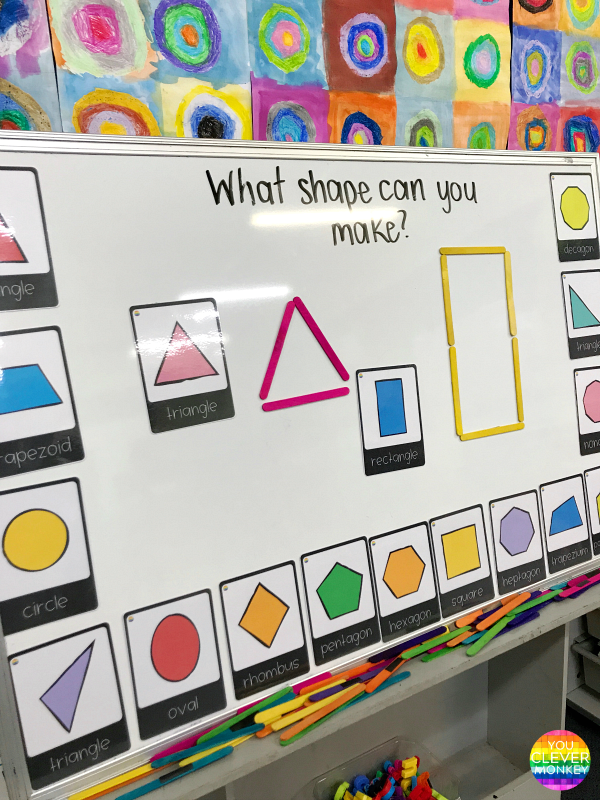 We can then build on this language to examine the properties of different shapes and objects - straight lines, curved lines, flat surfaces, curved surfaces, sides, faces, edges, vertices. With each word, our word wall builds along with our posters around our class to create the print rich classroom our children need to help consolidate their understanding of these concepts. 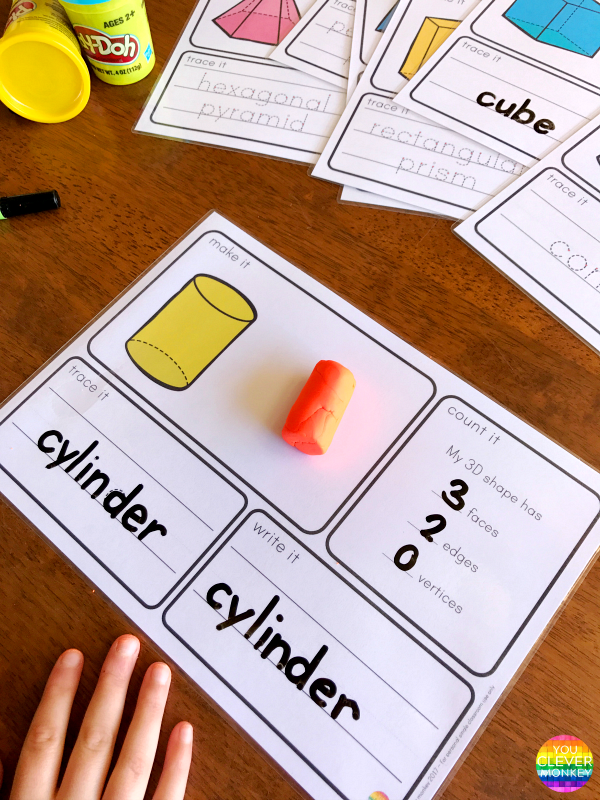 Our children need many opportunities for hands-on play with shapes and objects to make sense of them. 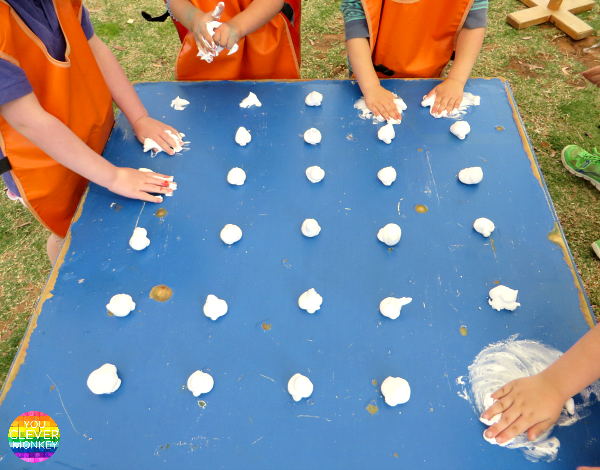 A play-based curriculum should offer children opportunities to develop their ability to think abstractly by experiencing real objects by using their senses. That might be using a collection of found objects to make shapes or different shapes blocks to build with. Creating art from shapes. Reading books. Going for a walk and talking about what we see. Make it multi-sensory where you can - kinetic sand, rocks, playdough, shaving foam, pompoms, sticks, wool/yarn, clay, pipe-cleaners, paint. The list is endless. Allow your children to wonder, to explore. To test their thinking. Whether it is answering what is the strongest 3D shape or how do objects move? Who can build the tallest tower? We need to teach maths through real, meaningful situations. 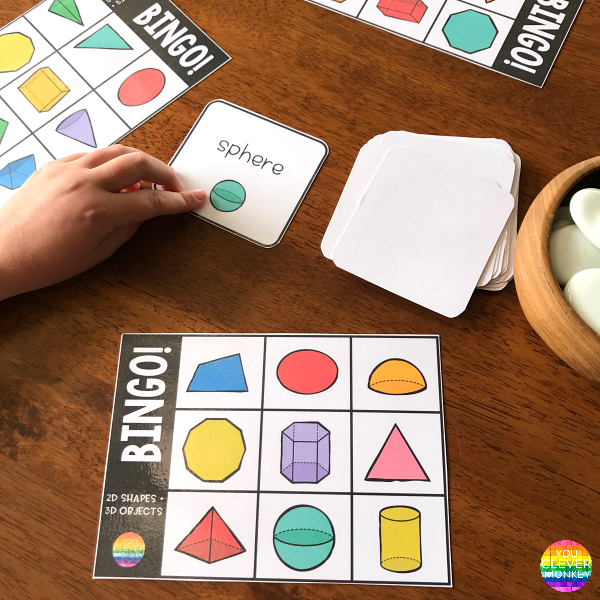 For me, the use of printables in my Early Years setting can help prompt play. 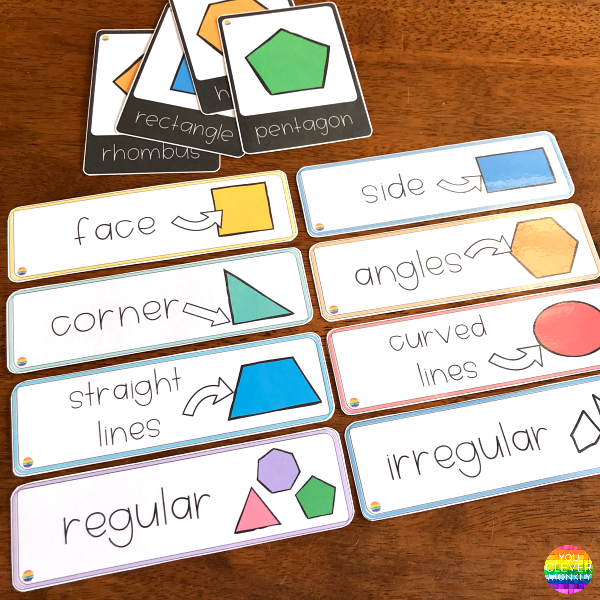 This invitation to create 2D shapes is a good example of how printables can be used effectively to help support learning. Using a 2D shape card, the children tried to copy the shape and found out they couldn't really make those shapes with curved sides like circles and ovals from the magnetic sticks. This was an invitation set up in class that children could access if and when they wanted. They could use the printed cards or not. 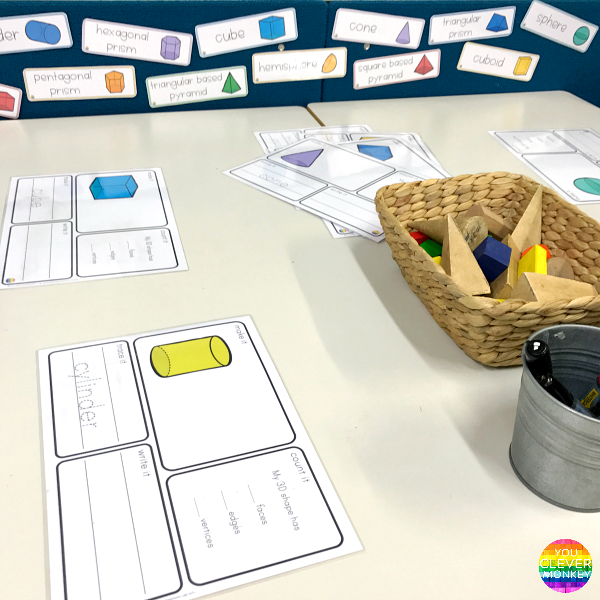 It was up to them but having them there on display along with other materials, can provide you both an opportunity to deepen their understanding around a concept. Alongside the intentional teaching in my classroom always sits opportunities for play. 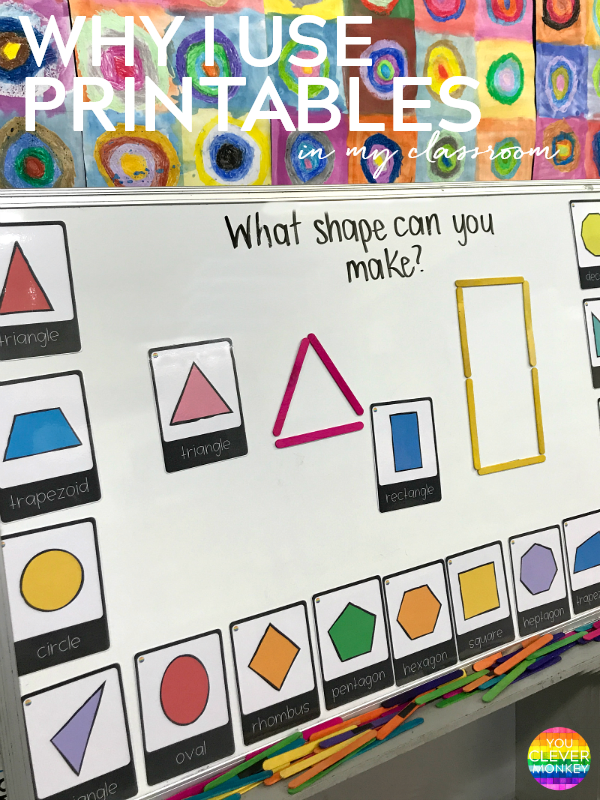 During our look at shapes, three different spaces were set up for exploration all of which used printables as one element. Along with our 2D stick invitation, we had play dough on another table and these printable 3D mats. Again some children choose to use them while others didn't. In another space, they could play with the pattern blocks to make new shapes. Pattern blocks are always irresistible. Adding the posters and challenge cards, just help to extend a child's thinking. But what about the intentional teaching I have to do? And yes, we do have to do it as we know many children are not starting school with a rich understanding of different concepts. Their oral language is poorer, their fine motor skills weaker. Working in a low socio-economic country school only further highlights this. That's where I use games to help engage my students. We know that being at school also means working together and practicing the social skills we learn during play - turn taking, listening to others. Their future job prospects rely on their ability to work as a team. Playing games together allows us to learn from each other while also developing our social skills. 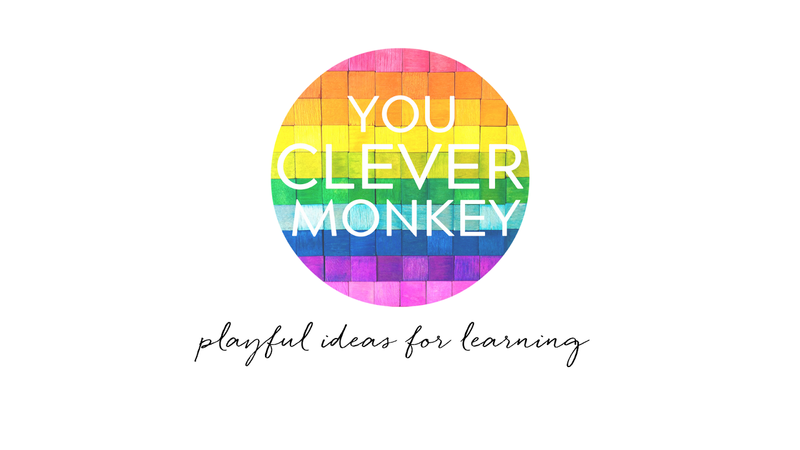 I know my students love games - dice games, BINGO, card games, Connect Four, snakes and ladders, so I often create a game to purposely teach particular concepts. 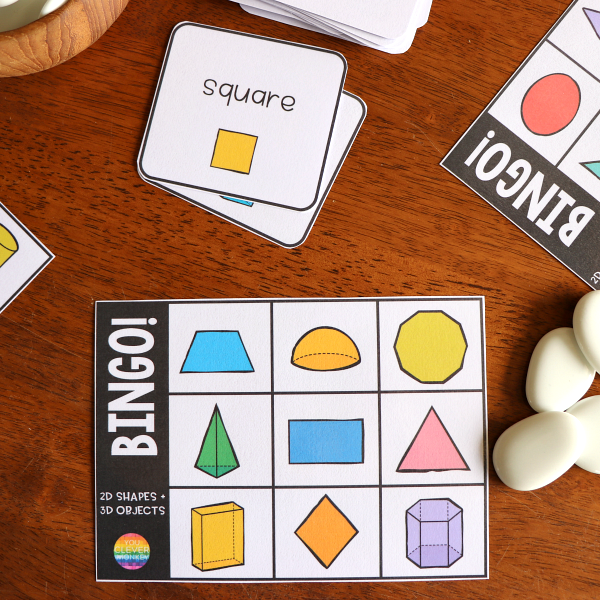 This 2D Shape + 3D Object BINGO is one example. We play it as a whole class first to introduce the game then I can add it to a math centre for the children to play or as an invitation around the room for them to play as they wish. To make differentiation earlier for my early readers, I've created two sets of calling cards - one with text and visuals as support and one with text only. As Early Years teachers, we strive to create environments that children look forward to being in and being part of. I use printables in my setting to help create such a setting. One in which children know they may not succeed at everything but will be valued for trying. One where children will (hopefully) learn than reading and writing as useful. One that will show and allow them to collaborate to solve problems.